Come on in for coffee. Right now Kona is what we’re pouring. Spring is here…as soon as the rain goes away…Time to get out and ride!…Don’t have a bike…rent or purchase right here at Smyrna Bicycles. Bikes from Giant Bicycles start around $370.00 so come on in. Free pick-up and delivery November 1- February 28. 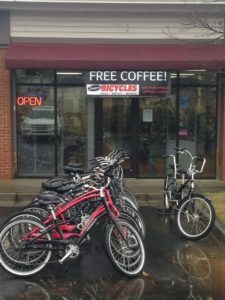 Smyrna Bicycles now offers free pick-up and delivery of bicycles for tune-ups starting at $69.00 or greater. This service is available in the 30080 and 30082 zip codes only. Other onsite repairs are available as well. Please call for details! (770) 436-3252. Or email at info@smyrnabicycles.com. Monday Night Ride(MNR) is ON! 6:00 pm at mile marker 0 (aka Mavel Road). We will ride on the trail at “conversation pace”. No racing! Stay behind ride leader. We’ll break off into two rides when group size permits! Have Fun! 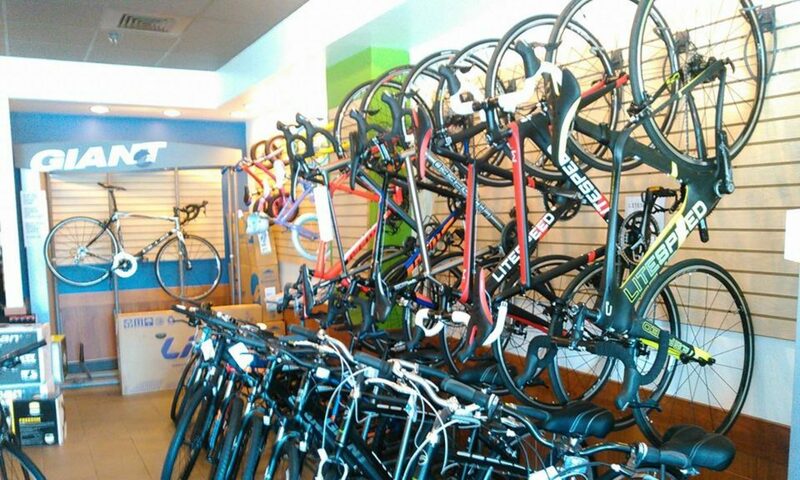 We are up and running, so please come on in for all of your cycling needs. We are still getting the place stocked up for the Spring/Summer season, so if you don’t find what you need, please let us know, we can put it on the list to order. Thanks again so much for your patience and support! We are a small Independent Full Service Bicycle Shop, that focuses on Sales of new bicycles and service of used bicycles. We still may have some chilly mornings, but we need to make room for the spring stuff, so all winter gear 30% off!!! Come and get it!! !